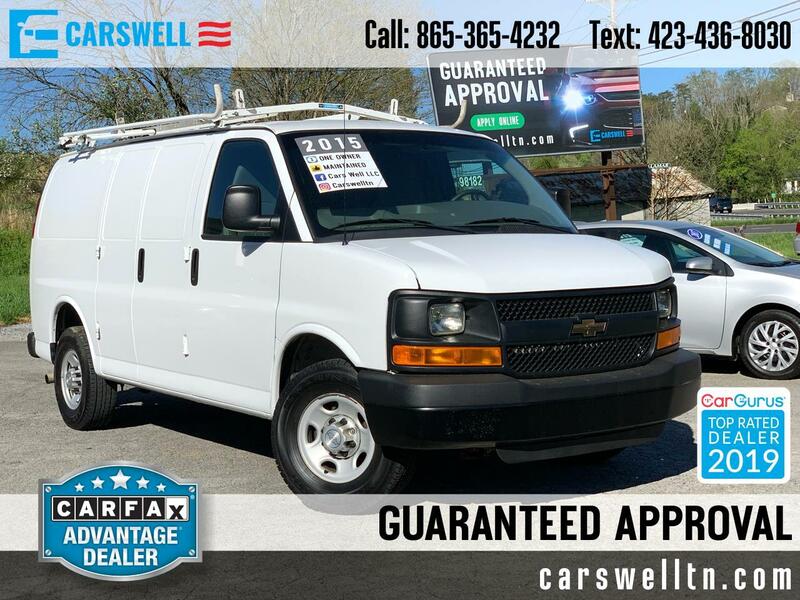 2015 Chevrolet Express Cargo Van RWD 2500 135"
CARFAX One-Owner. Free CARFAX Available! Summit White 2015 Chevrolet Express 2500 Work Van Cargo RWD 6-Speed Automatic HD with Electronic Overdrive Vortec 4.8L V8 SFI Extended Warranty Available. Priced below KBB Fair Purchase Price! Odometer is 17402 miles below market average! Get Financing Approved Today! Message: Thought you might be interested in this 2015 Chevrolet Express Cargo Van.